To the northwest of Beijing is sparsely populated Inner Mongolia. 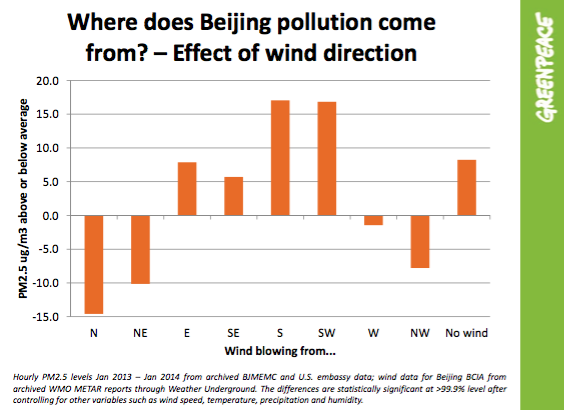 When wind comes from the south or east, PM 2.5 is above average. When wind comes from the north (on the far left on the graph), PM 2.5 is usually a lot lower. Special thanks to Calvin Quek (Twitter @clearroads), who did the original analysis and made the graphs here.